Psychologist Grace Callahan has no idea that she has a secret--one worth killing for. But when she finds out one of her clients has been murdered, she quickly realizes that the computer security specialist wasn't simply suffering from paranoia. Detective Nate Quinn has just been cleared for active duty after a bombing killed eighteen people, including his partner, and left him dealing with PTSD. His first case back on the job involves the murder of Stephen Shaw, and his only lead turns out to be an old friend, Grace Callahan--and her life is in grave danger. Someone believes Shaw gave his psychologist information before he died. Information they are willing to kill for. With her signature pulse-pounding suspense, Lisa Harris takes readers deep into the heart of fear in this race against the clock. Meet Lisa Harris - bestselling author, a Christy Award winner, and the winner of the Best Inspirational Suspense Novel from Romantic Times for her novels Blood Covenant and Vendetta. The author of more than thirty books, including Vendetta, Missing, Pursued, Vanishing Point, and the Southern Crimes series, Harris and her family have spent almost fifteen years living as missionaries in southern Africa. Learn more at www.lisaharriswrites.com. 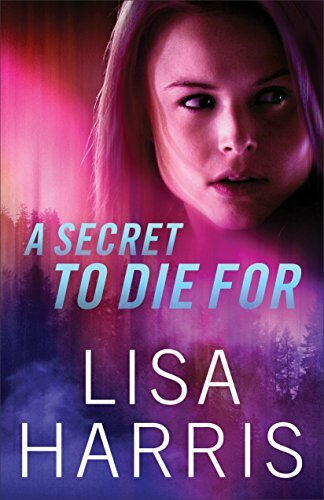 First off, I am a bit partial because Lisa has been one of my favorite authors for a long time. I have enjoyed every book I have read by her. If one of her books is available, I am quick to jump on the reading wagon train. This one starts you off running, flipping page after page, feeling as if the adventure took off without you! It is high energy, and gets your heart racing right off the bat. Honestly, I was tired just thinking about all these people went through in a day's time. Grace was probably my favorite character. She was brave and bold. Nate was interesting, but seemed to be a bit off kilter at times. Maybe it was due to his PTSD, but he made quite a few bad choices in his police work. Also for his first day back on the job, they sure did give him a lot of space, rather than waiting to see how he would handle things. I liked how Grace and him were old friends and I enjoyed the banter between his protectiveness and her independence and ability to live life in the moment. Paige was kind of the buffer between the two, keeping things real and the tension down. Some of the suspense and mystery was a bit intense and the timeline felt a little unrealistic. I honestly don't know how they could have squeezed all they did into one day! It could probably have been drawn out a little bit more. My brain is always trying to wrap around how long it would have taken them to go here or there... along with interview time, and other things. However for a fast paced, quick read, that will keep you interested, this book was pretty good. Maybe not her best, but it was ok! I received my copy courtesy of Revell and I was not asked to review it positively. All opinions are my own.